That's awful. Photoshop or not, it isn't the kid's fault she has lazy, sh*tty parents who used food to babysit the kid rather than relate to her. You can tell by her eyes that she knows how people look at her. that doesnt mean that she cant walk for more than 20 paces before she needs another quadruple cheeseburger! why is this a fail? 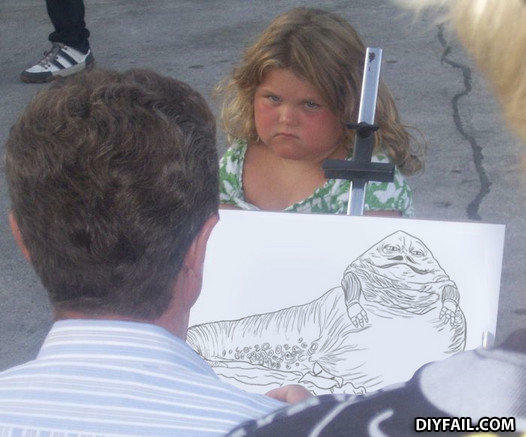 i think he captured her, perfectly. see how pretty that smile looks? Where did Jimmy go after the bombing? Hey gorgeous what are you drinking?